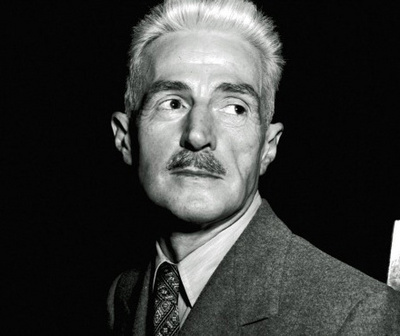 May 27th; Dashiell Hammett, author of The Maltese Falcon, is born in Maryland on this day in 1894. Hammett left school at age 13 and took a series of low-paying jobs, eventually landing at Pinkerton’s detective agency. He worked as a detective for eight years and turned his experiences into fiction that set the mold for later writers like Raymond Chandler. Hammett’s deadpan description of violent or emotional events came to be known as the “hard-boiled” style of detective fiction. Hammett published short stories in his characteristic deadpan style, starting in 1929 with Fly Paper. He published two novels in the same style that year, Red Harvest and The Dain Curse. The following year, he published The Maltese Falcon, which introduced detective Sam Spade. The novel was filmed three times: once in 1931; once in 1936 under the title Satan Met a Lady, starring Bette Davis; and again in1941, starring Humphrey Bogart. Hammett became involved with playwright Lillian Hellman (author of The Children’s Hour in 1934 and The Little Foxes in 1939), who served as the model for Nora Charles in his 1934 comic mystery The Thin Man. The book was made into a movie the same year, starring William Powell and Myrna Loy, and the characters of Nick and Nora Charles inspired several sequel films. Hammett and Hellman remained romantically involved until Hammett’s death in 1961.